Joanne X. McAuliffe, DNP, RN, OCN, NEA-BC, is the new vice president of cancer nursing for Winship Cancer Institute of Emory University. Winship Cancer Institute of Emory University announced that Joanne X. McAuliffe, DNP, RN, OCN, NEA-BC, is its new vice president of cancer nursing. McAuliffe joins Emory from Christiana Care Health System in Delaware where she served as vice president Patient Care Services. McAuliffe will lead the ambulatory clinical care teams for the Emory system and will oversee clinical quality, safety, outcomes, education and oncology nursing research. She will be responsible for development and oversight of oncology nursing practice guidelines for Emory Healthcare to enhance the continuum of care. "Winship is truly excited to welcome Joanne to this important leadership role," says Walter J. Curran, Jr., MD, executive director of Winship. "Her experience and her can-do approach will be of tremendous value to our patient experience." McAuliffe started her career as a clinical nurse in the Bone Marrow Transplant Unit at the Comprehensive Cancer Center at Johns Hopkins University where she received her graduate and undergraduate degrees. 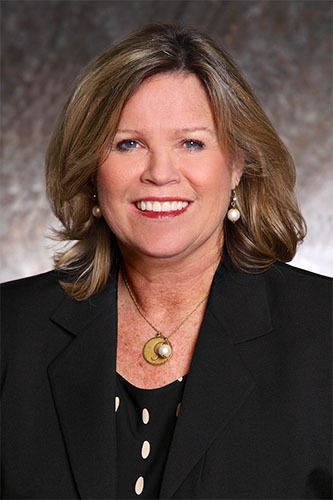 With her extensive experience in oncology nursing, McAuliffe has served in leadership positions at Cabell Huntington Hospital and Academic Medical Center in Huntington, West Virginia, Medstar Health System, Franklin Medical Center and the University of Maryland Medical Center in Baltimore.